Fabulous looking pillow good enough to take to the livestock auction with you. Rustic looking cattle design beautiful cow print finish. 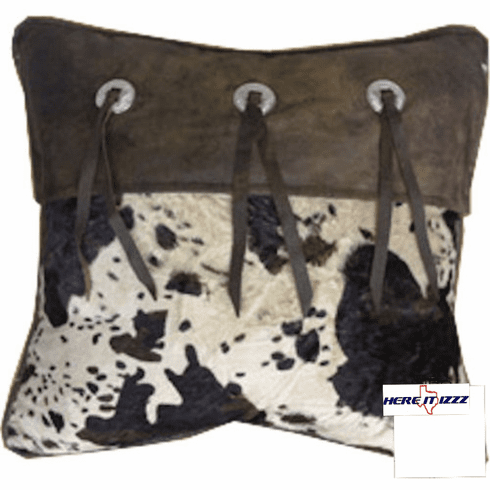 With the look and feel of full hair on cowhide you are sure to love the true rustic western look of this throw pillow. Triple conchos with tassels add a classy look.